Ok, I think we all need to take a moment to appreciate how amazing this looks!! I think we can over look the non beauty post for this! I don’t even like fish (so I don’t know why I suggested a sushi day?!) but even I think it looks yummy! My boyfriend had many hidden talents I’ll give him that! 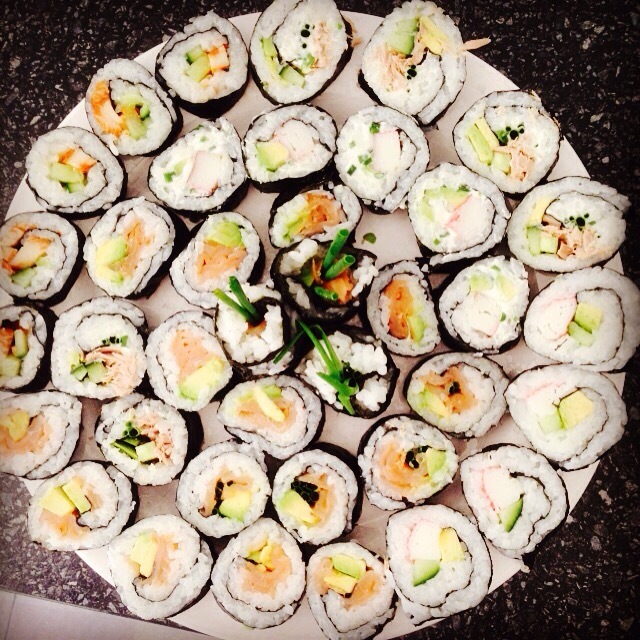 Who else is a Sushi lover? Or not…like me! I LOVE SUSHI. No one in family will eat it except me so I rarely get to go. Beautiful platter! I Should add I noticed and like the 3 center pieces he created. He doesn’t either, I think that’s why he made so much haha! It would be so much easier for him if I liked it! Lol. Did you try them all?? Wow, great blog. 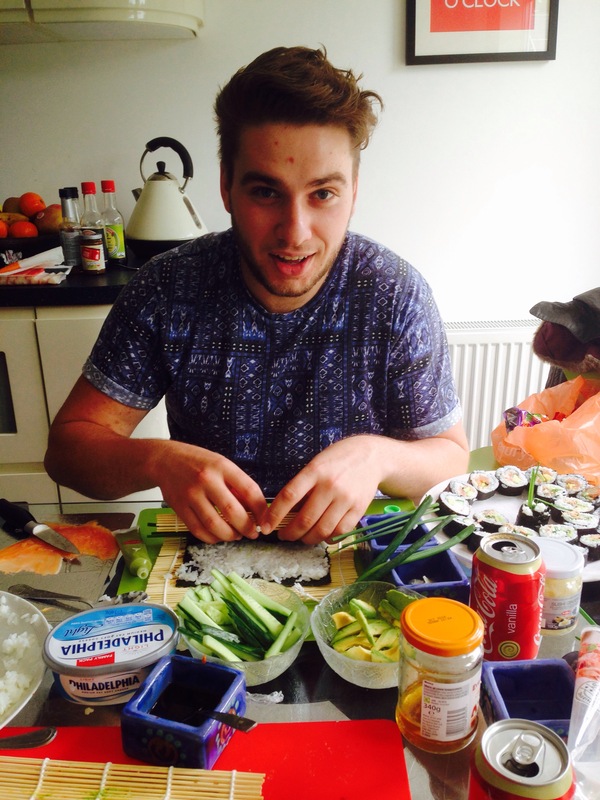 You have a great boyfriend- if he can make sushi he’s a keeper.